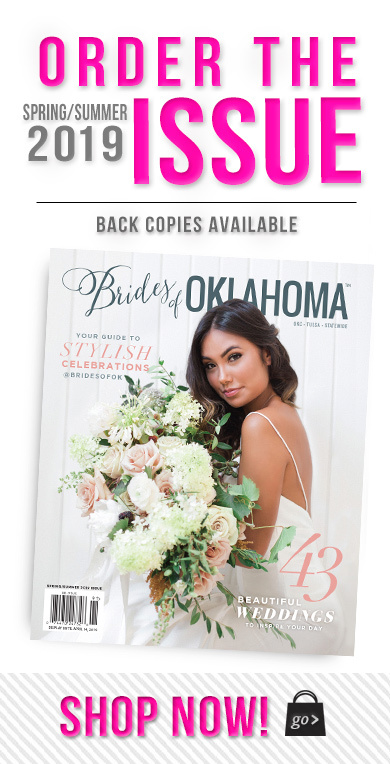 McKenzie and Seth are huge Disney fans – they even got engaged at the happiest place on earth – so their classic romantic Oklahoma wedding included subtle Disney references throughout the ceremony and reception! 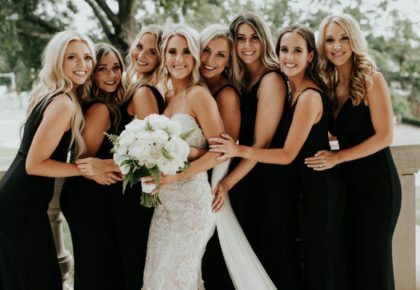 The bridal gown and bridesmaid dresses from Prescott Bridal were fit for a princess, and the fairytale florals from Forever Cole Events were just beautiful! 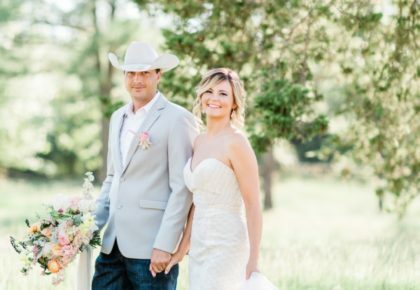 Thanks to Tammy Odell for capturing the timeless photos, and be sure to catch the heartwarming wedding video from Atria Creative below! 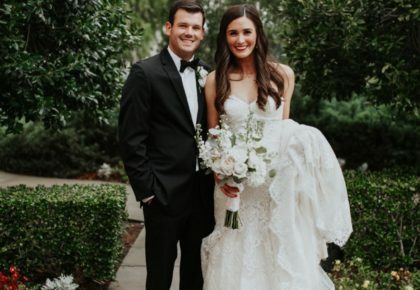 Seth and McKenzie met on the basketball court at the University of Central Oklahoma. She was a dancer and he played for the basketball team. Shortly after their eyes met, McKenzie was getting text messages from Seth. They attended a date party together and after taking things slow, their friendship grew into a beautiful relationship. Their fairytale romance led them to the happiest place on earth where Seth decided to make McKenzie his princess for life. After a fancy dinner with both sets of parents, McKenzie went to meet up with the rest of her family to get tickets to the Magic Kingdom fireworks show. While McKenzie bought the tickets, Seth hunted down a photographer for the big proposal and asked McKenzie to marry him in front of the castle. After saying yes and sharing a kiss, McKenzie saw her family and a few of her friends witnessing their magical moment.